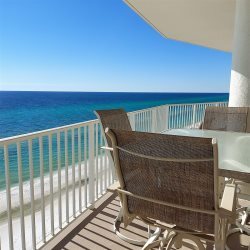 Go look at some of the largest two bedroom, two bath condos on the Gulf of Mexico. Enjoy the nightly sunsets on your large private Gulf Front balcony. Our three bedroom, three bath condos have everything youll need for your vacation getaway. For all occasions, these vacation rentals will be sure to please. Our luxury ocean front vacation rentals dont get any better than our large four bedroom, four bath condos. And the balconies are to die for! !